As part of Manhattan Cocktail Classic, I attended a Pisco Chile tasting. LA has enjoyed very good Peruvian restaurants lately and they will very proudly say they are the originators of pisco. But the Chileans have been producing pisco for at least 450 years. 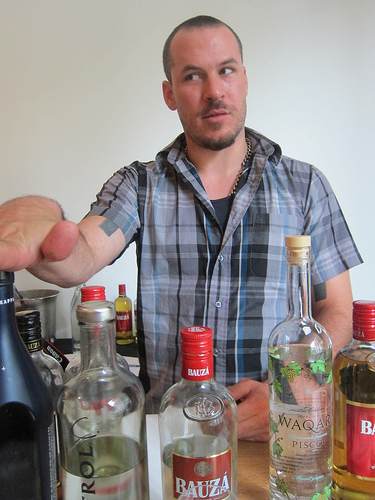 The main difference I’ve tasted immediately was Pisco Chile had quite the kick. USBG NY president Jason Littrell who has also worked at Death & Co explained the some of the piscos I was tasting had been aged. Tasting 10+ piscos after tasting Scotch and Thai whiskey probably wasn’t my brightest idea but someone had to do it, right? Bausa Crystal – this pisco is aged at least 2 years in stainless steel. Being the bourbon fan, you can imagine my favorite was the Reservado and Aniversario. The Crystal would be great for mixing as would the Waqar. Other piscos I tried aged in oak include Alto del Carmen and Mistral Nobel. Alto del Carmen is aged at least 6 months in old American oak barrels whereas Mistral is first aged in steel tanks for two months before aging further in American oak barrels for one to three years. I loved the story Jason told about Espirtu de Elqui. 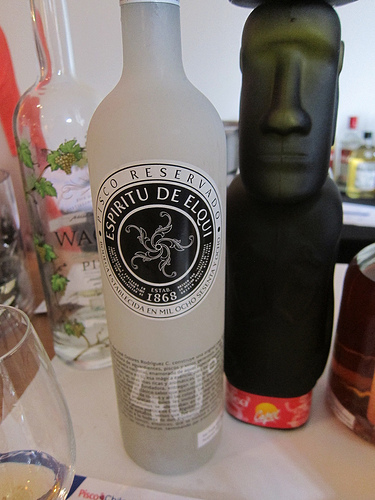 This Reservado 40 Degrees pisco is made by fifth-generation distiller Fundo Los Nichos, a now elderly gentleman who has been making pisco his entire life. He is considered the oldest active pisco producer in Chile. I figure he’ll keep living forever if he keeps drinking pisco. 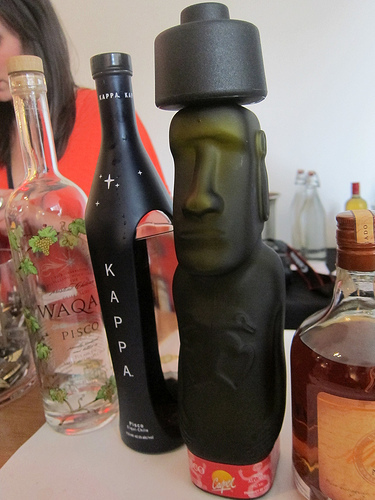 As it turned out, my favorite pisco of the day was the Kappa which I had seen before but never tasted individually. Maybe because it was lighter (and therefore closer to the Peruvian piscos I’m used to) but I took a liking to it right away. I see this being used to mix with while the others would be best sipped. 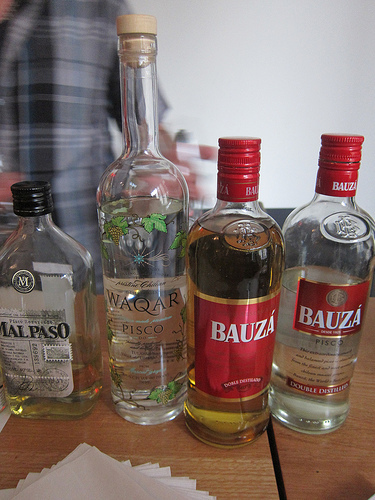 I’m really glad I tried all of these and will look for them the next time I’m thinking about pisco. This entry was posted in alcohol education, alcohol tasting, bar stalker, bartenders, cocktail week, history, hot bartenders, spirits, the minty, travel and tagged andaz 5th avenue, chile, chilean pisco, death & co, industry invitational, jason litrell, manhattan cocktail week, mcc, new york, ny, nyc, pisco, travel, usbg. Bookmark the permalink.